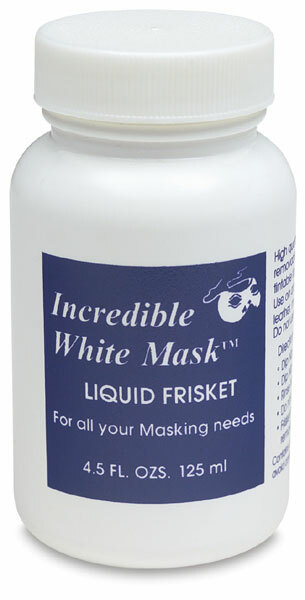 This high-quality, non-pigmented liquid frisket is ideal for watercolor masking. It dries to a neutral cream color that shows through dry paint, so that you can see exactly where you've masked. Available in 2 oz and 4.5 oz bottles as well as kits. 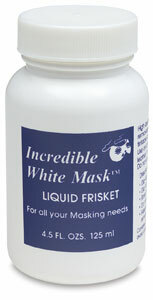 ® Grafix is a registered trademark.® Incredible White Mask is a trademark.